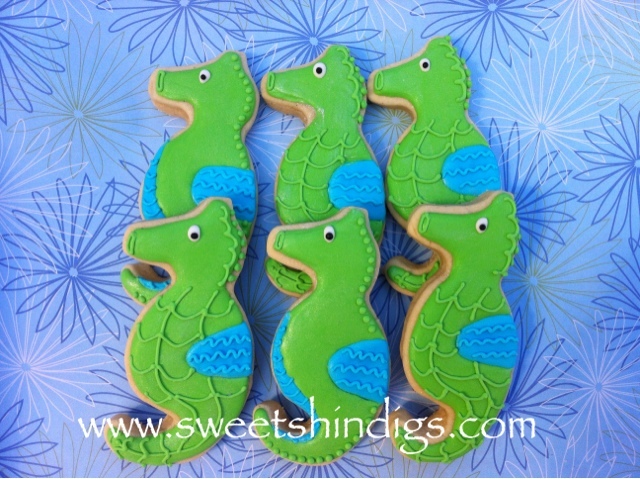 Seahorse sugar cookies for a birthday party. 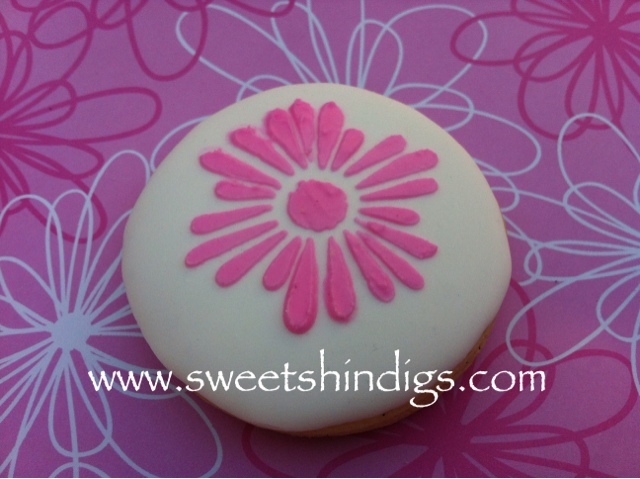 I just love these yummy chocolate sugar cookies. It's like a brownie and a cookie rolled into one delicious bite. 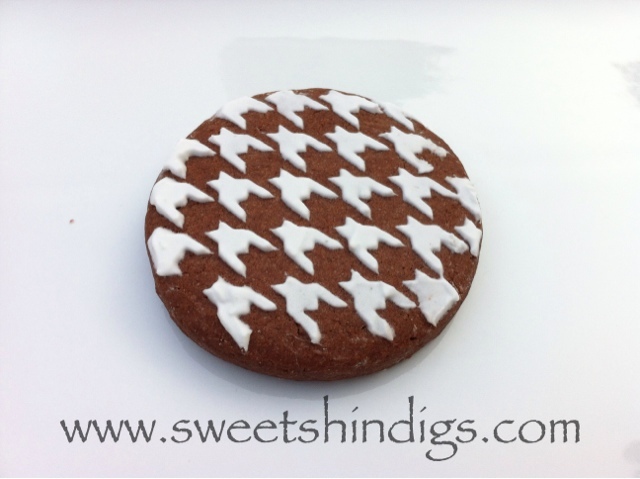 I was experimenting on how to decorate a cookie with the houndstooth design for a client. 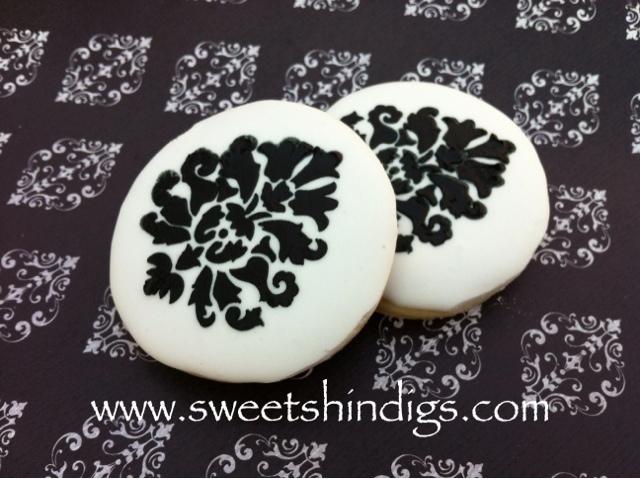 I just love how these round sugar cookies came out with the damask design on top. I experimented with another stencil I had on hand today too. 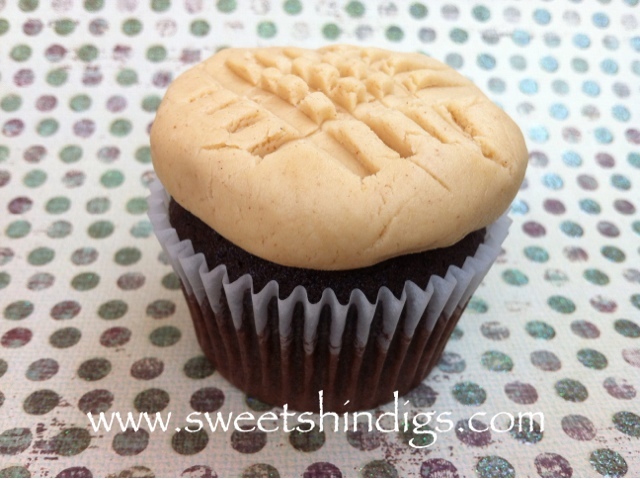 Chocolate cupcake with a peanut butter frosting "cookie" on top. 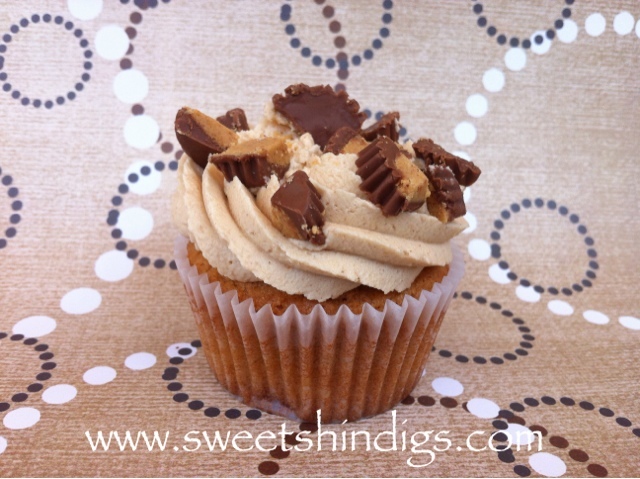 Peanut butter cupcake with peanut butter frosting with chopped Reese's cups on top. 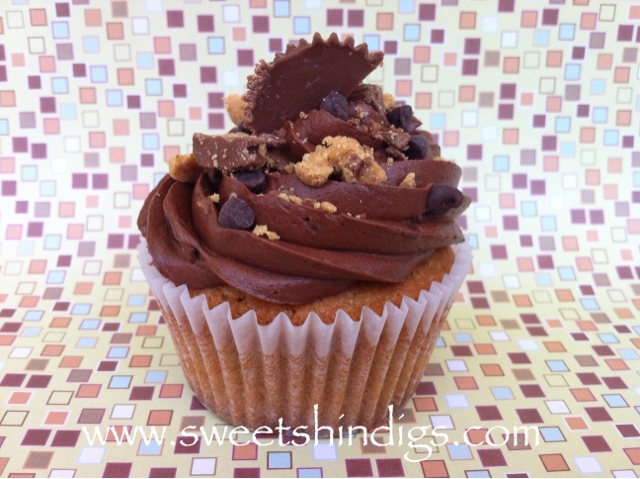 Peanut butter cupcake with chocolate frosting with chopped Reese's cups on top. 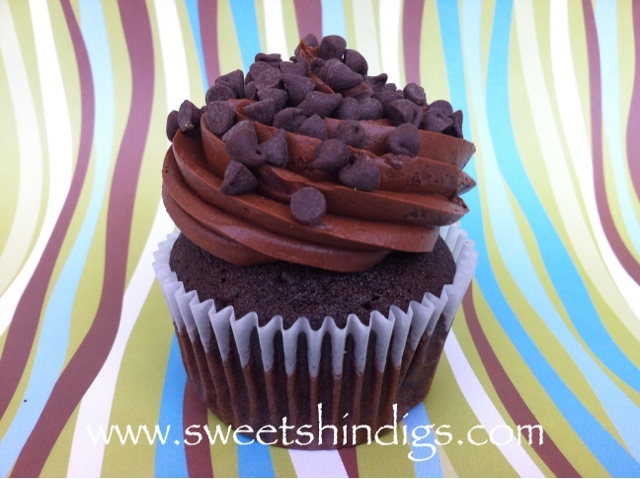 Chocolate cupcake with chocolate frosting and mini chocolate chips. 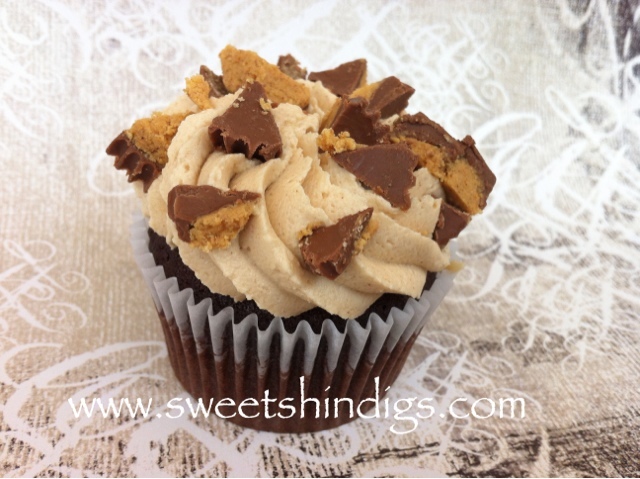 Chocolate cupcakes with peanut butter frosting with chopped Reese's cups on top. 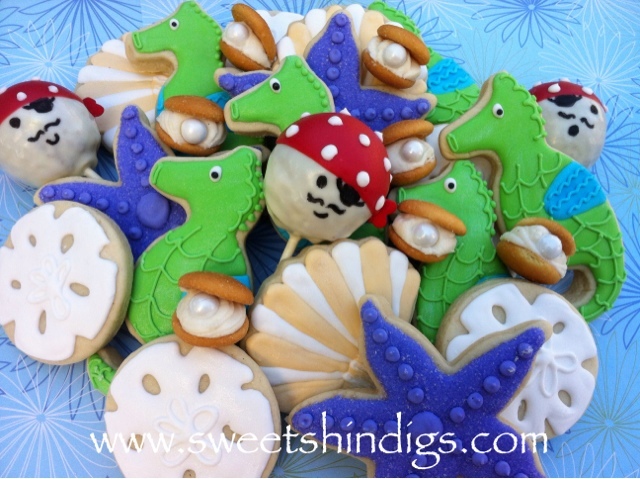 A Collection of cookies and cake pops for a sea themed Mermaid and Pirate birthday party. 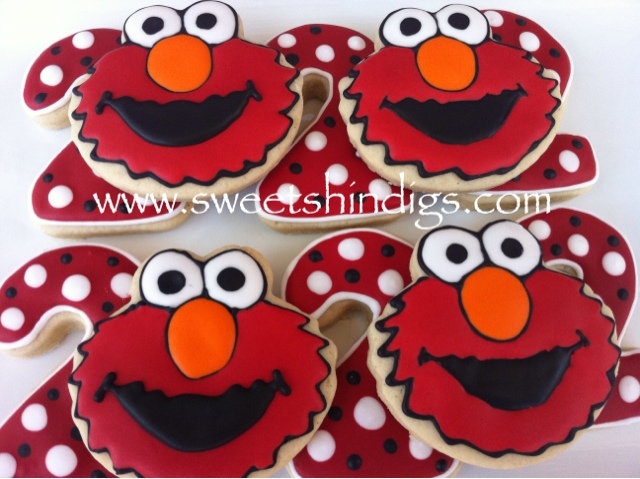 These Elmo and number two cookies were for a little girls birthday party. 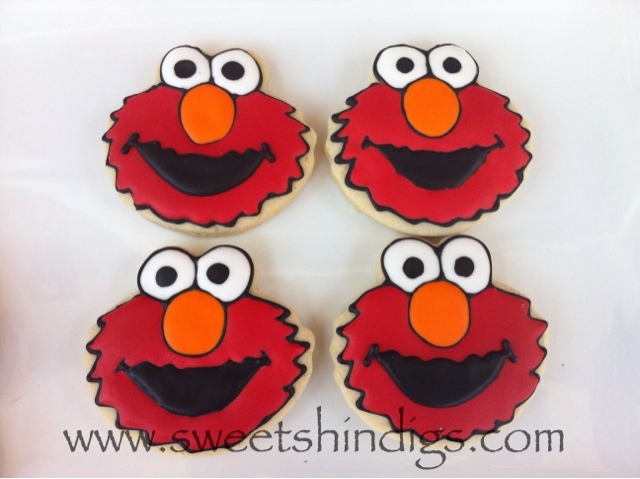 I think Elmo came out so cute! I can't wait to try Cookie Monster another time. This dessert table was for a 10 year boys birthday bash! Spicy Pretzels, Dipped Pretzel Rods and some of the birthday boys favorite candy. 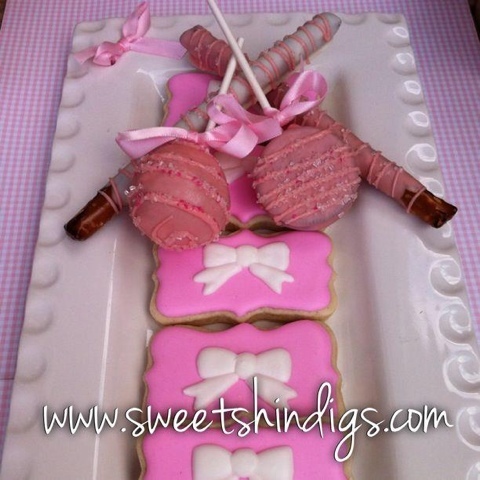 Left Side of Dessert Table – Water Bottles wrapped with labels, cake pops, cookies, and small candy bar. Cake Batter Sweet Trash, Dipped Pretzel Rods, and more candy. Right Side of Table – Chocolate Sugar Cookies, Water Bottles, Gumballs, Cake Pops, Sour Belts, Dipped Pretzels and Cake Batter Sweet Trash. 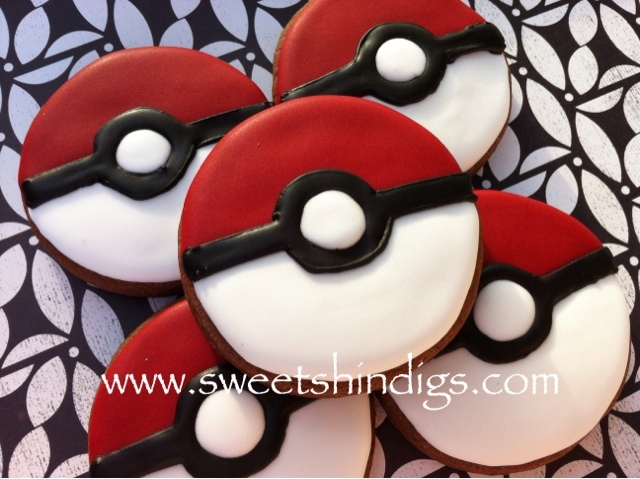 Yummy Chocolate Pokemon Ball Sugar Cookies. 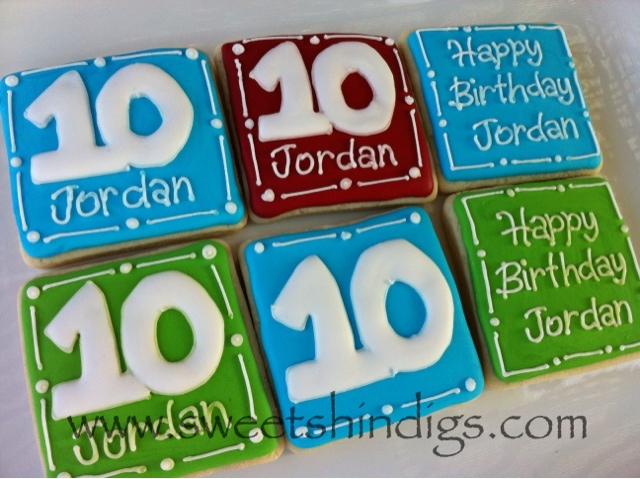 These cookies were for a boy's 10th birthday. 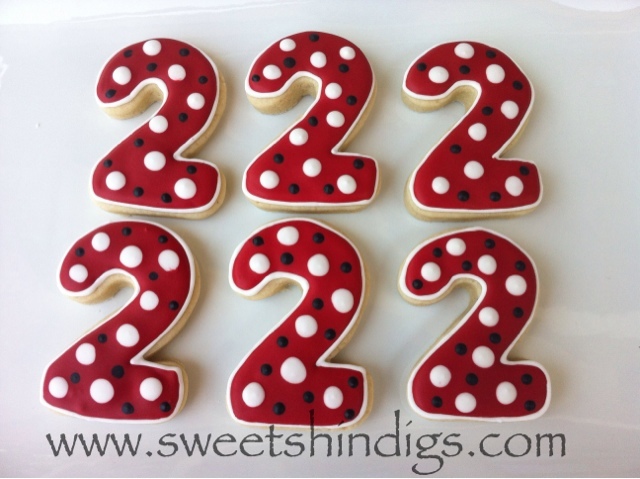 It's always fun to see your name on a cookie. 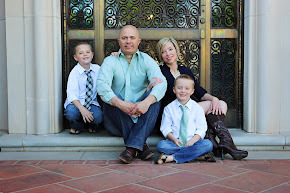 Call me and I can help personalize your next event. 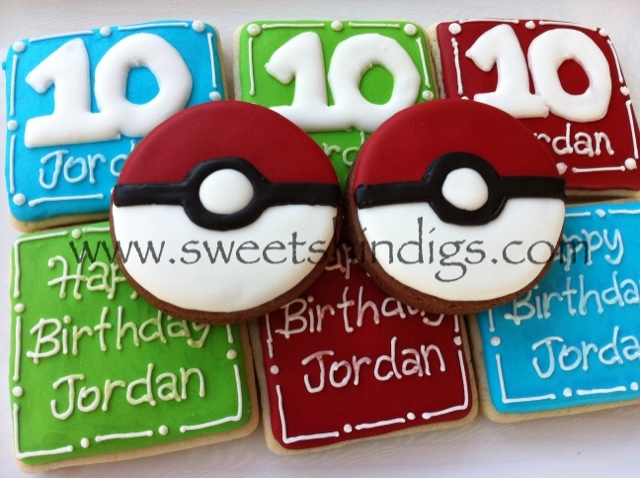 We added some chocolate flavored Pokémon cookies to the dessert table too. These Pokémon cookies are a chocolate flavored sugar cookie...my absolute favorite! They were for a Pokémon themed dessert table. I'll post the dessert table pictures soon.